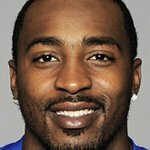 Hakeem Nicks is an American football wide receiver for the New York Giants. 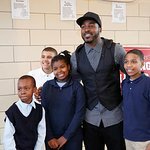 As a program under the umbrella of the Dreambuilders Foundation, New York Giants star receiver Hakeem Nicks started Helping Hands to provide essential nutrition to kids in need in New York and New Jersey. The program provides backpacks of healthy foods and snacks for in-need children to take home over the weekends, when they may not otherwise have access to nutritious meals. Google trends for "Hakeem Nicks"
We don't have any videos related to Hakeem Nicks.